Unfortunately I haven’t got any squash to fry and if thin gs carry on like this I won’t have any by the autumn either. I accidentally fried my squash plants. 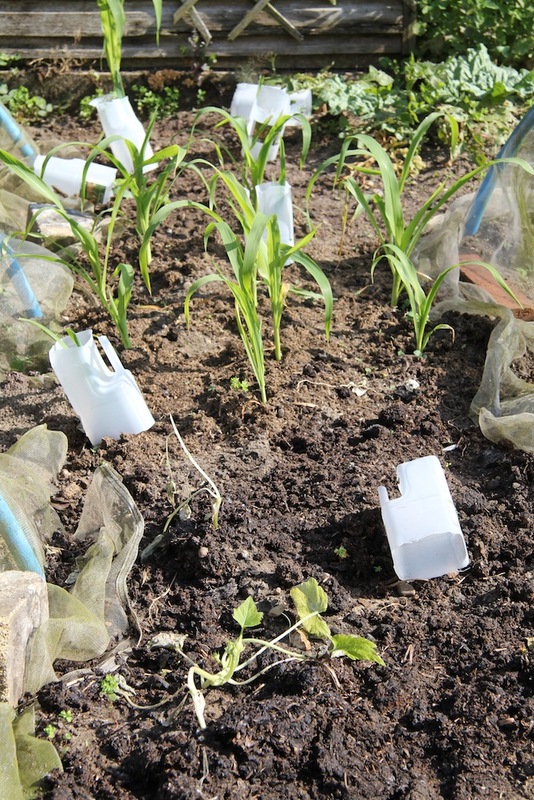 Last week I planted out some rather leggy squash plants in a tiny gap by the sweetcorn. 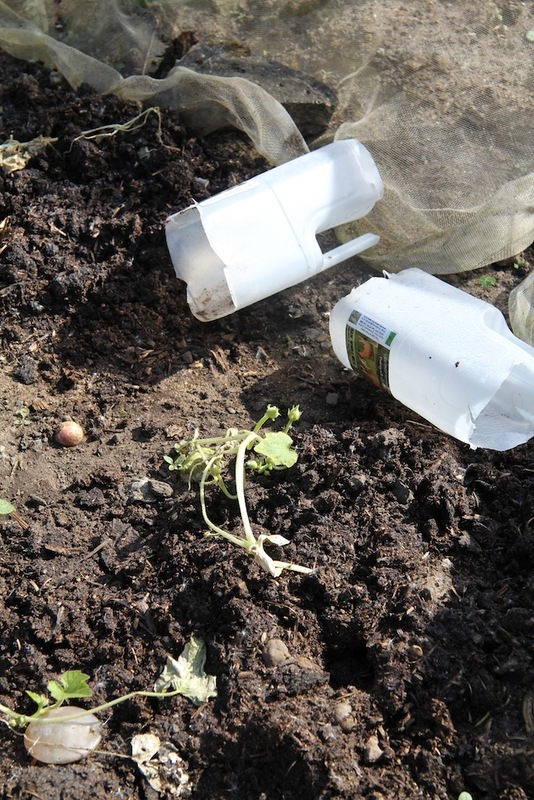 I thought if I cut the top and bottom off some milk containers and put them round the squash it would protect them from slugs and hens. 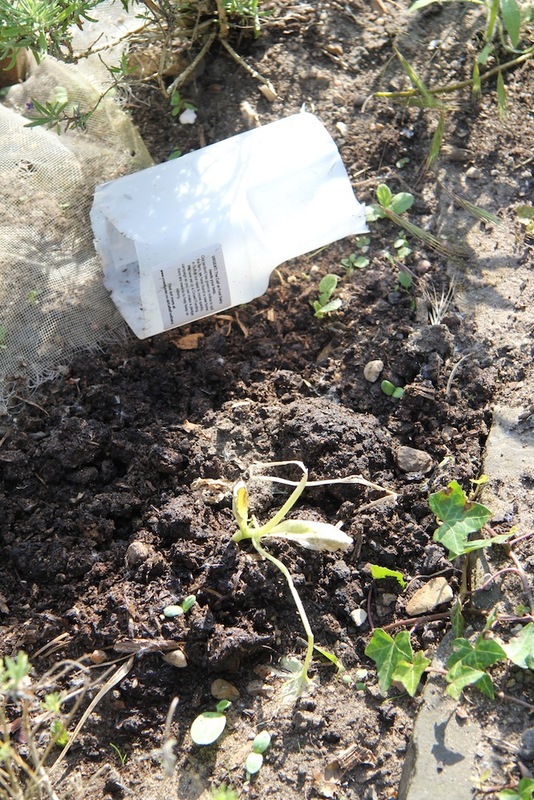 A friend said that it also helped keep his early courgettes warm – the key point here is that he was doing this in April and not in June – and more importantly not in the hottest week we have had so far this year. 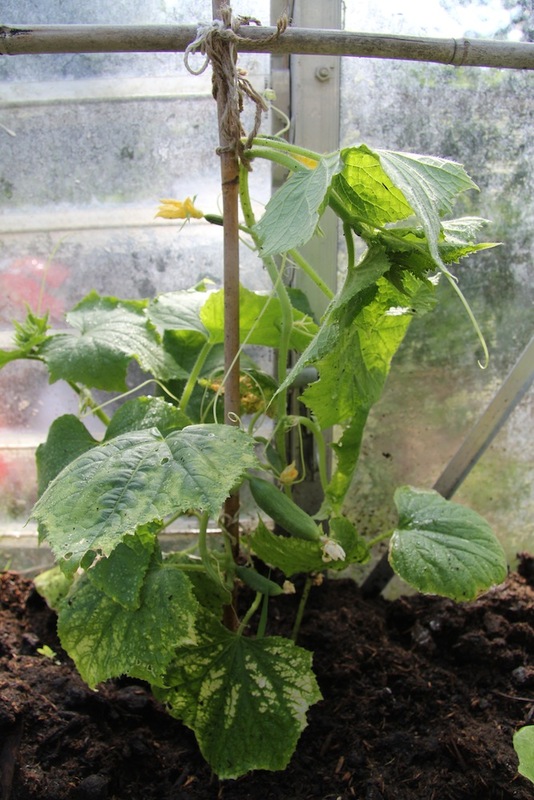 My little squash plants frazzled and fried – another lesson learnt! 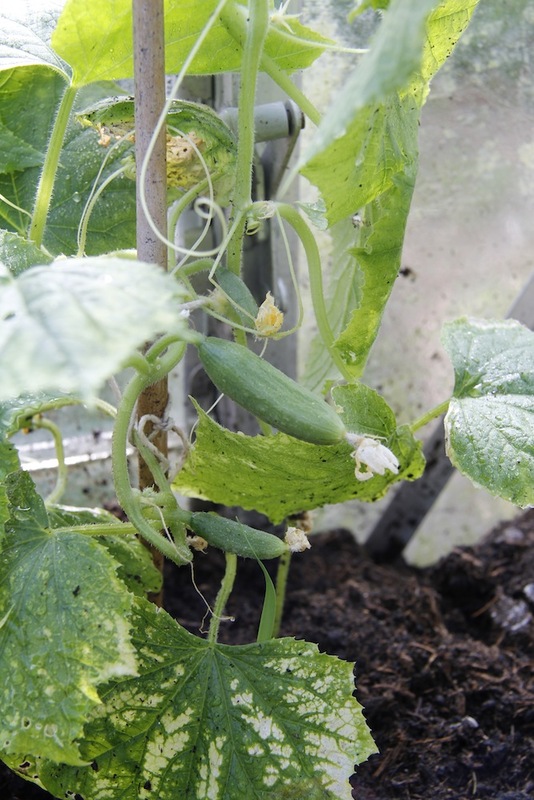 On a happier note my first cucumbers are starting to come in the greenhouse. 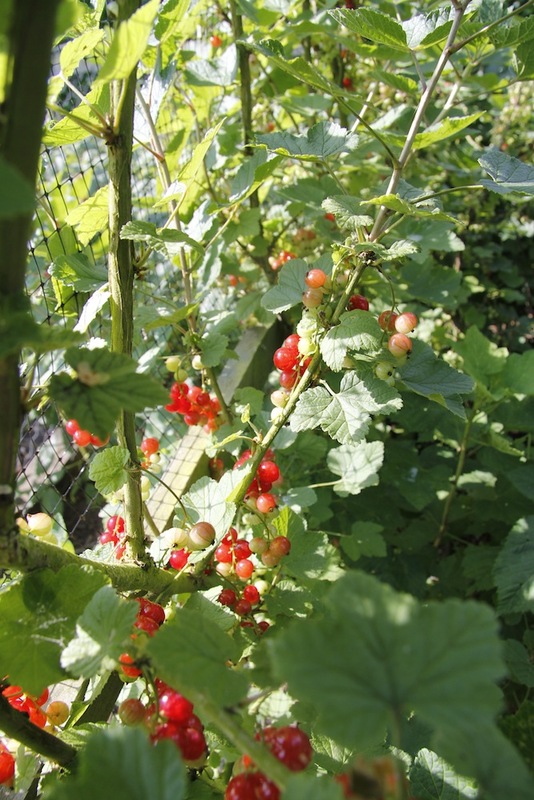 I also have some summer raspberries coming and some redcurrants ripening, so even if there is no squash there will be fruit. 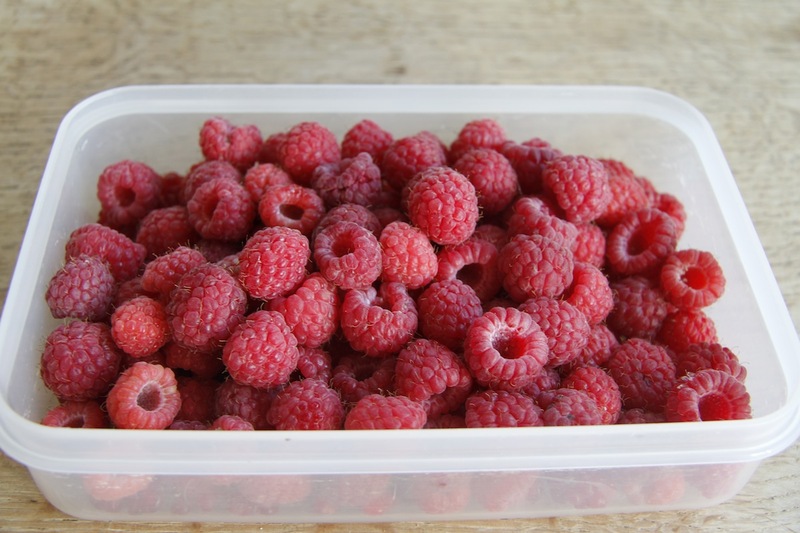 But the naughty ducks have got some of the raspberries that I didn’t cover properly – every time they put a new tasty shoot out the ducks gobble it up. 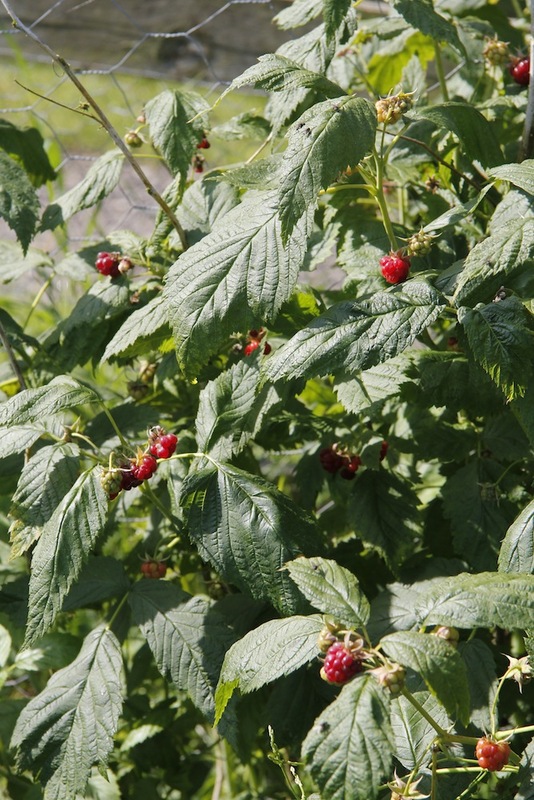 However, we do have other raspberry plants and we have had our first bowl. 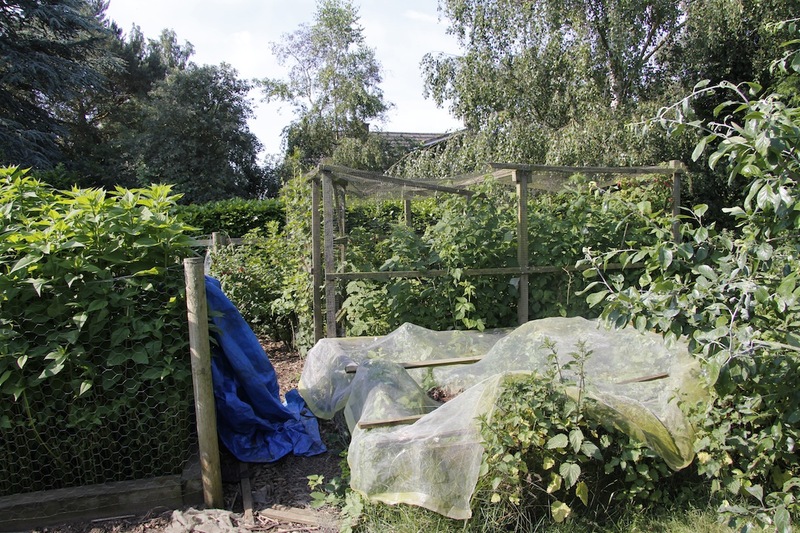 Just in case you thought our fruit garden was a paragon of organisation and neatness here is a photo of the fruit cage and strawberry bed – now full of nettles! Percy the Peacock has jumped on the cage so many times it is a bit wrecked. 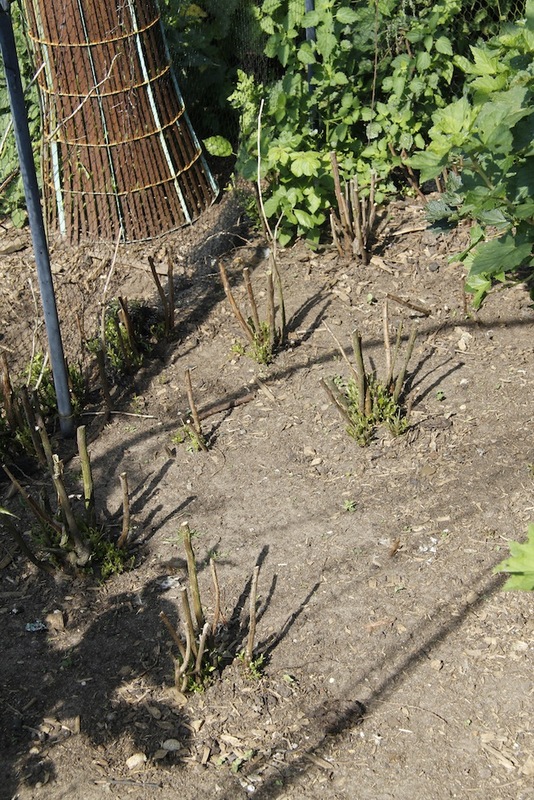 The plan is to build a bigger, better one over the winter – I think. 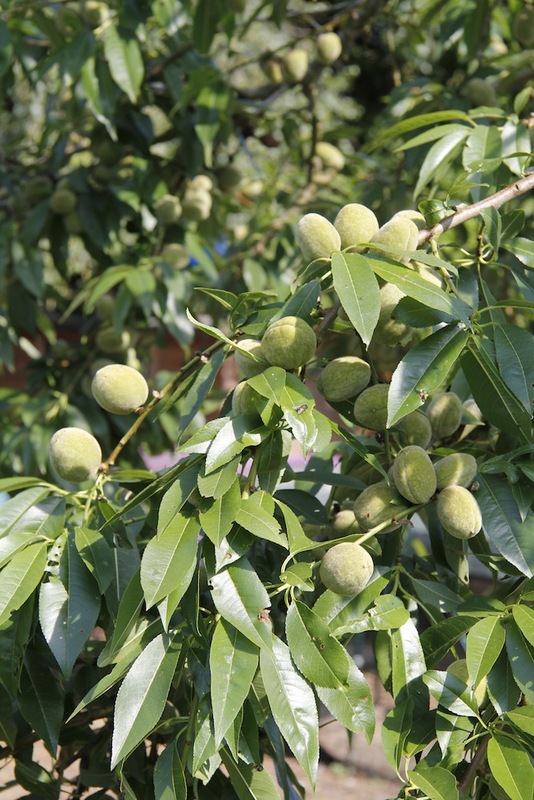 With luck and some rain this summer we might even get a good crop of almonds this year. We had lots last year, but a lack of water meant they were all mean and thin and thus not really worth the effort of cracking open the shell. If you could bottle that incredible optimism you have when things don’t work out as you’d hoped I’d be a regular customer. You are a true gardener to be able to go on even when your efforts are squashed (pun intended). I rally in the face of our gardening calamities when I read your tales. Thank you again and again. Amen…and so it will be I imagine.